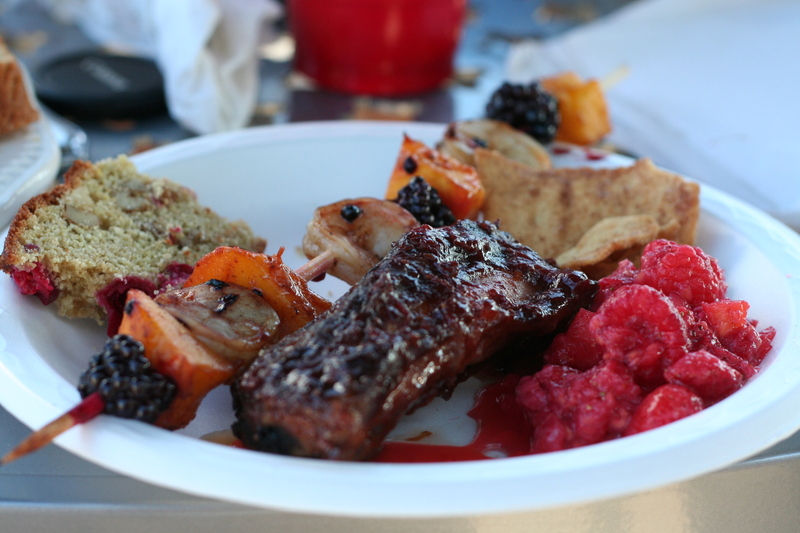 Anyhow, Chloe mentioned that I made ribs for our berry-themed meal. Who associates ribs with berries? Me apparently. I was worried that we’d have a lack of main entrees for our Berry BBQ, so I did some searching on Tastespotting, and came up with a recipe from The Feral Kitchen for Strawberry Chipotle Beef Ribs. We’re not going to talk about that blog’s name right now, but I decided that THIS would be my recipe. I was being pretty ambitious selecting this recipe because A) it required me to make my own barbeque sauce, which I’ve never done and B) it required me to make ribs, which I’ve never done either. But, as soon as I saw that the recipe included Dr. Pepper, I knew I had to make it. Confession: I have always had a thing for Dr. Pepper. I don’t drink a lot of soda, but if I need a caffeine boost and coffee won’t cut it, Diet Dr. Pepper is my beverage of choice. However, one time while visiting my cousin in North Carolina, I discovered Cheerwine. The original recipe calls for “Indonesian soy sauce” which I didn’t have or want to go find, so I just used regular soy sauce and stirred in a few tablespoons of brown rice syrup. Google suggests a combo of molasses and chicken stock as a replacement for Indonesian soy sauce. I put all of them into a pot, and let them cook on medium low heat. The recipe said this takes 45 minutes. I, however, think I kept my heat too low, and so it took a lot longer (basically, when you make it, just keep an eye on it, stirring occasionally, and let it thicken). 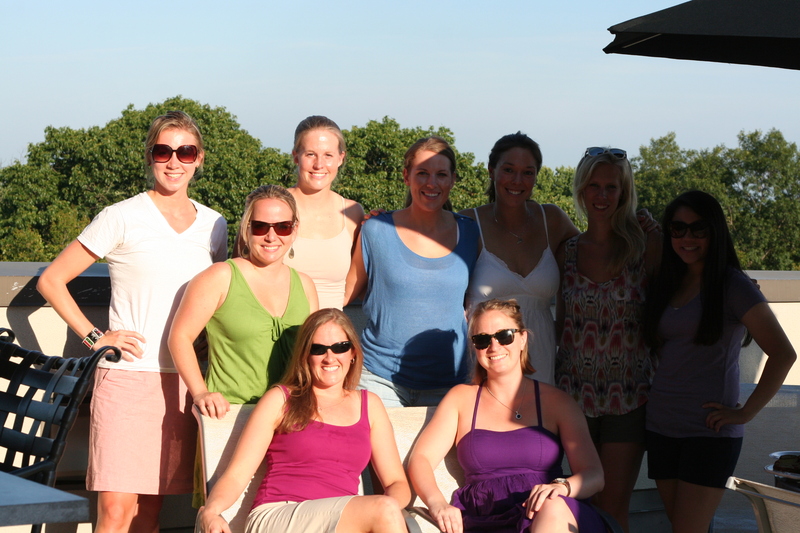 In fact, while everything was cooking, I did a Jillian Michaels workout DVD. Yes, I am the master of multitasking. 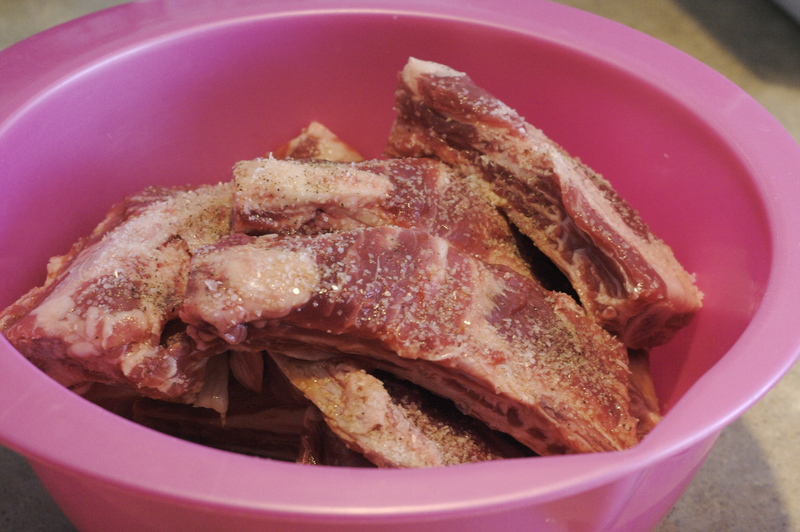 While the sauce was simmering, I prepped the ribs. I tossed them with some of my homemade “Indonesian soy sauce,” some Cheerwine, and some salt and pepper, and let them marinate in the fridge until I was ready to put them in the oven. 2.5 hours before I needed to leave for Eating Club, I put the ribs in a foil-lined baking pan. I baked them at 350° for about 1.5 hours, and then pulled them out and glazed them with the finally-the-right-thickness Strawberry Chipotle BBQ sauce. I popped ’em back in the oven under the broiler (on low) for another 3o minutes (15 on each side), until the sauce was caramelizing on top of the ribs. When I arrive at Eating Club, I tossed them on the grill for a few minutes, just to heat them through again. Then, we could all dig in. Let me tell you, these ribs were all about the sauce. Best. BBQ sauce. EVER! 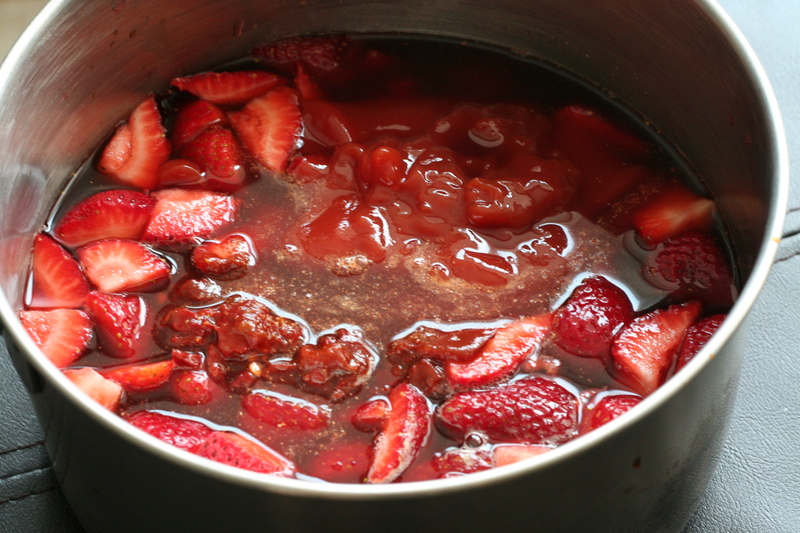 It has the slight sweetness from the strawberries and hint of smoky heat from the chipotle. The flavor was really complex, and we definitely decided it would taste good on everything. We tested that theory, even putting the BBQ sauce on Allie’s cranberry walnut bread. Yup, we were right. But don’t take my word for it. Go make some yourself. You won’t regret it. I think Dr. Pepper will be okay with it. Preheat oven to 350 degrees. Wash, trim and cut into individual beef ribs. 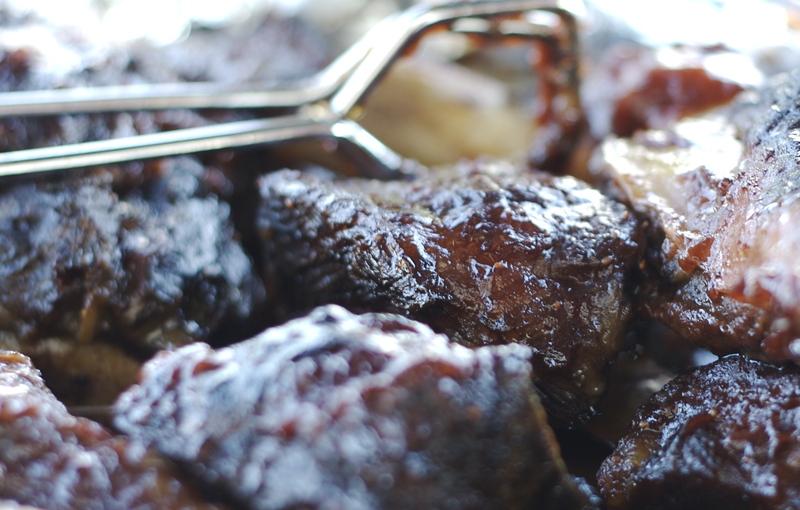 Toss ribs in a large bowl and drizzle on soy sauce, brown rice syrup, and rub with salt and pepper. 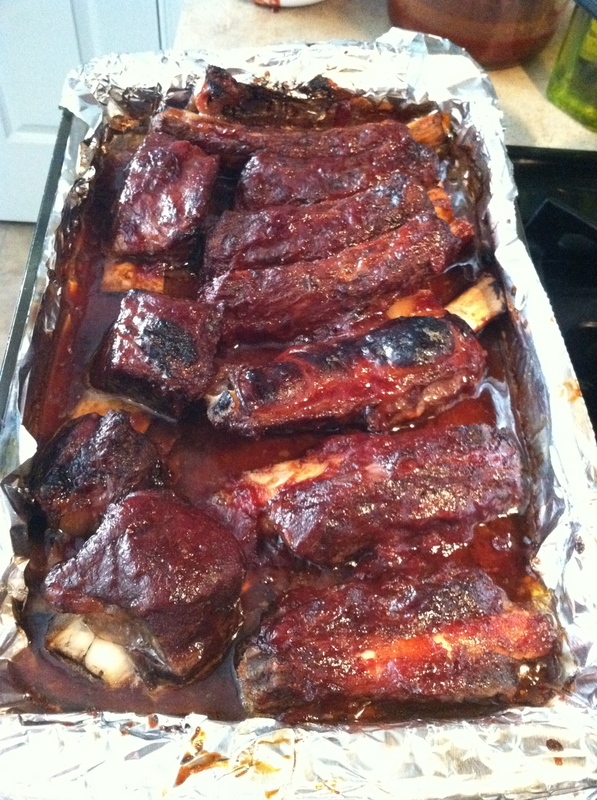 On a foil lined pan (or large cookie sheet) place ribs. Cover with more foil and put in the oven. Bake for about 1 1/2 to 2 hours or until tender. Remove foil and brush with sauce. Turn on the broiler and broil until sauce is slightly caramelized. Turn ribs over and brush with more sauce. Broil again until caramelized. Toss all the ingredients into a medium sauce pan. Cook on low heat, stirring occasionally, until thickened. Remove from heat and cool. Eat it on everything. 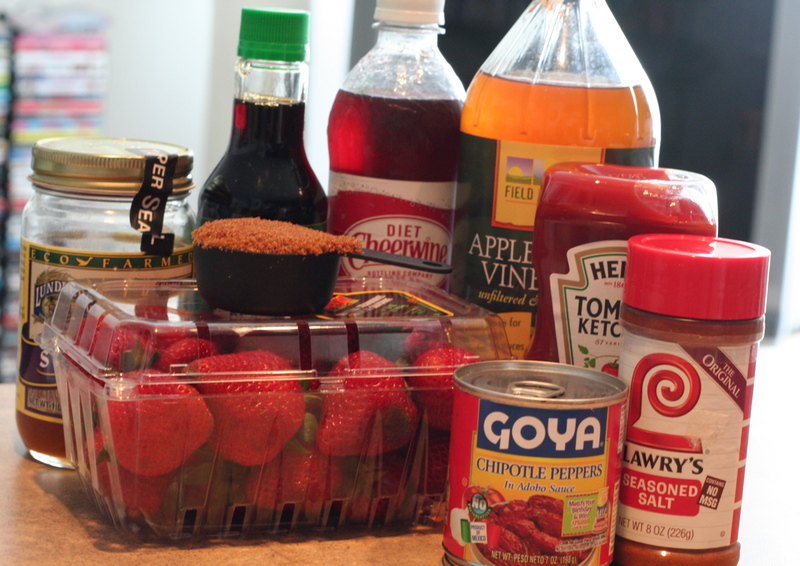 Question of the day: What’s your favorite kind of BBQ sauce? confession: i’ve only had ribs once in my life. but i loved them! i want more and i want them to be bathed in this sauce. I want to bathe in this sauce. I would like to be a part of this party please. looks amazing! An eating club? Yeah, I think that’s something I need to look into. As are these ribs, holy yum. Yum! I’ve never made my own BBQ sauce before, but I might have to start. This sounds awesome! And I’m in NC now…I’ll have to look for Cheerwine!!!! It was surprisingly easy to make! YES! 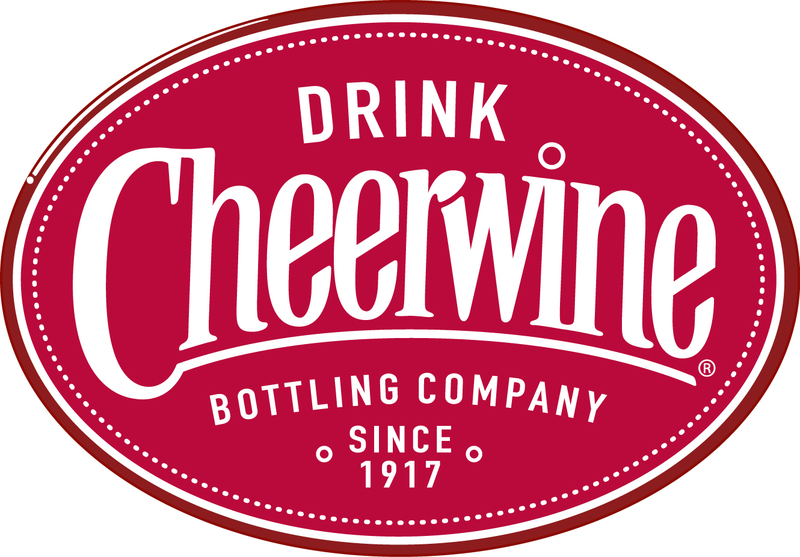 Get some Cheerwine! !